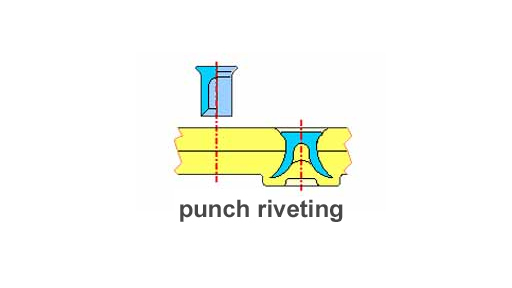 In punch riveting, the necessary hole is punched out by the rivet itself. The riveting presses are pneumatically, hydraulically or electrically driven, whereby the pressing systems can not be equipped with a force-path monitoring for process control. Rivets made of steel up to a shaft diameter of 8 mm as well as rivets made of non-ferrous metals are cold-closed.